For the teachers at Farmersville High School, this is the best time of the year. Marion Reneau might agree, but not for the same reason, because while her peers are enjoying summer vacation, the Phys Ed teacher is working harder than ever in preparation for the biggest fight of her mixed martial arts career this Saturday against Cat Zingano. This weekend, she gets to fight, and in Zingano, Reneau is facing off with a former world title challenger who is the only fighter to own wins over both Amanda Nunes and Miesha Tate. And though Zingano is looking to break a three-fight skid against Reneau, “Alpha Cat” is still ranked sixth in the world, while “The Belizean Bruiser” sits at number seven. On paper, that makes this fight look as a battle to enter the top five at 135 pounds, but in looking at the ladies in those five slots under champion Nunes, Holly Holm just beat Megan Anderson at featherweight, Julianna Pena is on the sidelines after giving birth, Germaine de Randamie hasn’t competed since she last fought at 145 pounds, and Raquel Pennington is coming off a loss to Nunes. Holm could drop back down to 135 to challenge for the belt she once held, and Brazil’s unbeaten Ketlen Vieira has won all four of her Octagon bouts, but with Zingano having a history with Nunes and Reneau moving to 4-0-1 in her last five should she win this Saturday, could this be an unofficial title eliminator? That’s the voice of maturity, not just in the fight game, but in life. 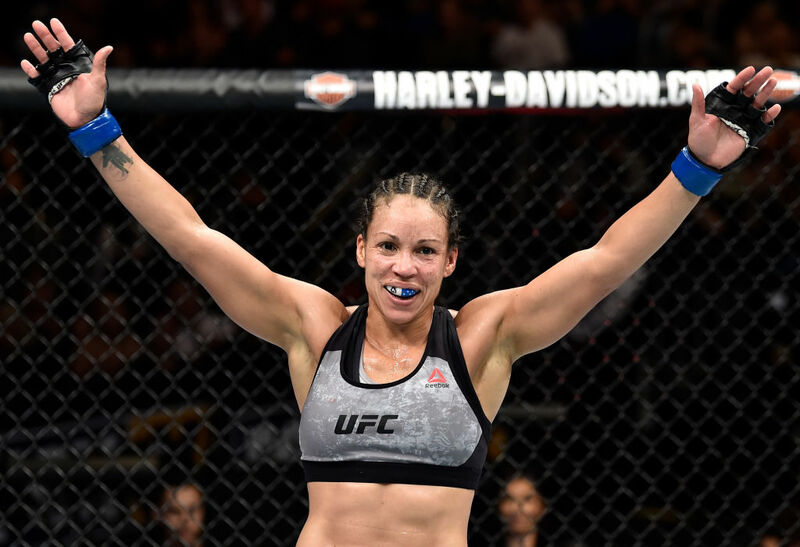 Reaching that point in both areas was hard-fought, and Reneau never forgets what it took to get there, admitting that she might not be as practical if getting to where she has in the UFC came ten or more years earlier. She laughs, but at an age when some fighters are beginning to walk off into the sunset or have already made that voyage, the 41-year-old Reneau may very well be hitting her prime, and she knows it. Forget the dots; Reneau is coloring between the lines and everything to produce a picture that is one of the best in MMA, or any sport for that matter. Simply put, those who pass the big 4-0 don’t do what the Californian is doing. Reneau is 5-2-1 in the UFC, she’s finished four of those wins, including two over Jessica Andrade and Sara McMann, and her decision loss to Evans-Smith and draw with Correia were questionable at best. So has that maturity been the key to her success? And remembering that father knows best.